Gilbert David Hurtado was born on Oct 2, 1959 To Bueno and Viola Hurtado. He passed away suddenly on June 21, 2018 at his home. He was a kind, compassionate, honest, happy and gentle man that would give you the shirt off his back. A good man. He enjoyed making new friends and talking. 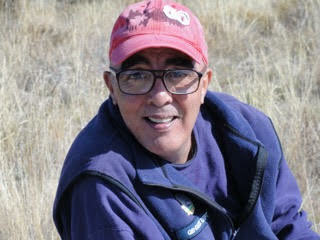 He enjoyed fishing, being taken on trips to the mountains and his beloved pets. He was very proud of graduating Manual high school with an attendance certificate and that he was baptized. He is loved and missed. Gilbert would like all his family, relatives, church members and friends to come visit him at Fort Logan National Cemetery where he was buried with his beloved parents Bueno and Viola Hurtado. He shared and contributed to a full, caring and happy life with his brother Ben Hurtado, sister Wilma Hurtado and Nephew Eric (Erica) Hurtado. Godspeed little brother.